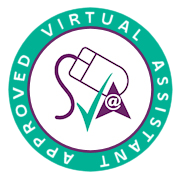 If you are wondering how you can utilise a Virtual Assistant with a ROI, we have coordinated four case studies highlighting our clients problems and the solutions we have successfully delivered to improve their business. Carl’s business has been completely transformed since working with Selina & Co. Their monthly revenue has grown by 5–6 times over that period, growth that’s being directly driven by outsourcing those lower leverage tasks which were holding Carl back. Malcolm saw excellent results within just one week of working with Selina & Co. Malcolm’s VA has set up new processes, procedures and time-saving templates – none of which existed before – such as using Google Docs to allow collaborative working, and the efficient tracking of invoices. Working with Selina & Co. has taken away completely the stress of the jobs Susan didn’t enjoy. This has allowed her the time she needed to focus her energy and talent purely on her business. She is now able to concentrate fully on clients, fit more clients into her day and crucially increase productive hours in the clinic. Selina & Co. designed Phillipp’s new website, and had it up and running without a hitch within three months, something that Philipp was finding completely impossible to achieve on his own due to lack of time. Delegating his business and personal admin along with this kind of design project to Selina & Co. has freed up a considerable amount of Philipp’s time, allowing him to concentrate on his core work.